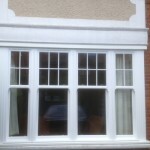 We all know that new windows can instantly improve the look of your property. 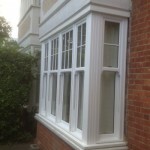 At Merton Windows, we aim to provide the best sash windows and other glazing products in Fulham, Parsons Green and throughout London and Surrey at affordable prices. We’re committed to perfect workmanship every time. Operating from our base in Merton, our highly-skilled and expert team will give you honest and down-to-earth advice so you can make the right decision and you will never be subjected to pressure sales tactics. 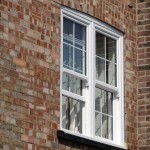 Sash windows are constructed with one or more manoeuvrable panes of glass that slide vertically up and down to open the window. 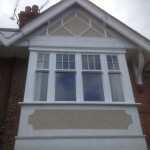 If your sash windows need to be replaced or if you want to return your home’s appearance back to a more time-honoured image, our sash windows will provide the perfect solution you your dilemma. 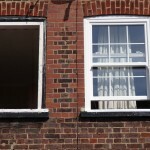 Traditional box sash windows are beautiful to look at but can fall victim to leaks, draughts and security issues. However, our sash windows have all the style and aesthetics of traditional sash windows, combined with superior energy efficiency, security and insulation. They are guaranteed to enhance your home, while never compromising on practicality or character. 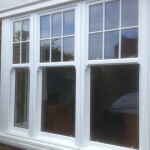 If you require some information about sash windows or would like advice about your window installation plans, please get in touch with one of our consultants on 0208 542 2233.
uPVC windows: Our casement uPVC windows are some of our most popular windows due to their elegant style, energy efficiency and excellent functionality. Timber windows: These provide the natural appearance of timber windows, whilst also upholding our high standards of efficiency, safety and affordability. Aluminium windows: These windows are strong, reliable and versatile, ideal for any type of property. Roof lanterns: These sophisticated roof windows increase natural light into your home, give you fabulous views of your outdoor space, are thermally efficient and can provide a classically attractive architectural feature to your home. Give us a call us today 0208 542 2233 or email us at [email protected] or fax us on 020 8390 8815 and we will be more than happy to fill you in on how we think Merton Windows can help you. Or you can fill out an online enquiry form with your details and we will call you!